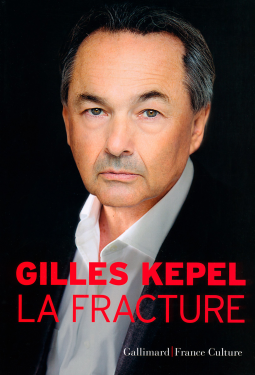 Gilles Kepel, La fracture. Paris: Gallimard, 2016. 288 pages. More people have died from jihadist attacks this decade in France than in any other European country, and more French Muslims volunteered to fight for the Islamic State caliphate than did Muslims from other European countries. Ironically, despite intense debate among Français de souche on the problems posed by Islam in their country, the French do not collect official statistics on the size and social characteristics of ethnic- or religious-identity populations; to do so could be interpreted as a violation of official commitment to laïcité. Unofficial estimates of Muslims in France are five to seven million, of a total population of 67 million. Perhaps the French have debated relationships with Muslims more intensely than other Europeans because Muslim-French relations over the last two centuries have been more complex than elsewhere. Born in Algeria, Albert Camus, in his first novel, L’Etranger, told the story of Meursault, an alienated pied noir (French-origin settler in Algeria) who, caring nothing for the death of his mother, wanders in Algiers and, at the novel’s climax, kills an Arab for trifling reasons. For this and other essays, novels and plays dealing with cultural incomprehension and ideological sectarianism, he received the Nobel Prize in 1957. When, in the 1960s, the newly sovereign governments of the Maghreb (majority-Arab northwest Africa) engaged in ethnic cleansing to rid themselves of pieds noirs, France was enjoying its trente années glorieuses of post–World War II economic growth and invited Maghrébins as guest workers. These immigrants exchanged newfound sovereignty in their home country for the ability to earn higher wages in metropolitan France. Most of these immigrants never returned; they became French citizens and settled into banlieues where they felt culturally at home. The first generation was reasonably grateful for this arrangement, their children and grandchildren much less so. Many have turned to Islamism. Why the ingratitude? Debating political ideas is something the French do well. One such debate is explaining the rise of radical politicized Islam – in France and throughout the Islamic ummah. 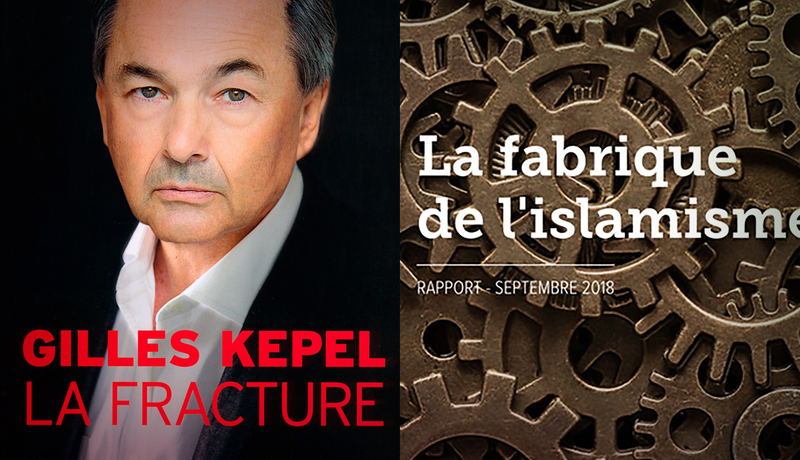 The most prominent public intellectuals debating Islamism are two academic political scientists, Olivier Roy and Gilles Kepel. Roy insists that the rise of Islamism among young Muslims in western Europe should be understood as a search for a meaningful identity among a marginalized minority suffering poor education, high unemployment and poverty. Endorsing Islamism justifies rejection of west European values with respect to education, employment and career, laïcité, and women’s equality. It also justifies rejection of the previous generation’s passive acceptance of a marginal status. Roy emphasizes that only a tiny minority pursue their Islamic identity to the extent of jihadism. The appropriate policy response is better schools, an end to discrimination in employment and official campaigns to counter Islamophobia. Kepel sharply criticizes Roy for downplaying the role played by Islamist ideology – in particular, Saudi-based Salafism. Islamism, Kepel insists, is an ideology that, somewhat akin to socialism in the 19th century, is mounting a frontal attack on Western liberalism throughout the ummah. Other alienated groups may adopt countercultures; only Muslims adopt a counterculture whose ideas, taken to their logical extreme, justify killing nonbelievers. Kepel has the better arguments. In recent years he has conducted sociological studies of Muslim-dominated banlieues in Paris, Marseille and certain industrial cities. He has documented the trend over the last decade as Salafist ideas and practice have come to dominate life among second- and third-generation Muslim youth. La fracture is a slight volume, but it effectively makes the case that recent terrorist incidents in France, and other west European countries, arise from what he describes as a third wave of jihadism. The first wave was Al Qaeda, a centralized organization whose major success has been destruction of the World Trade Center. The second wave consists of autonomous regional jihadist organizations, from the Sahara to Indonesia. The third is the strategy pursued by Daesh2 (the self-proclaimed post-2014 caliphate) to exploit the internet and encourage the radical minority among Salafist-influenced Muslims in Western countries to undertake autonomous attacks on miscreants, using whatever weapons are at hand – knife, truck, rifle, etc. Between January 2015 (assassination of the editors of the satirical magazine Charlie Hebdo in Paris) and July 2016 (massacre of families strolling on the Promenade des Anglais in Nice on Bastille Day, and assassination 12 days later of an 84-year old priest delivering morning mass in a church in northern France), this third wave succeeded in killing nearly 250 people in France. The first half of his study is a survey of Islamic theology from the 18th century to the present and of the principal Islamist currents, in particular the Muslim Brotherhood in Egypt and similar groups elsewhere (which collectively he describes as frérisme), and Wahhabism in Saudi Arabia. The second half elaborates on a social science survey of the rise of Islamism among Muslims living in western Europe. On the basis of a survey of attitudes among French Muslims, he defines three broad types along a continuum in terms of the priority that respondents attach to their faith: first secular Muslims (46 per cent of French Muslims), second the ambiguous (25 per cent) and third Islamist sympathizers (28 per cent). 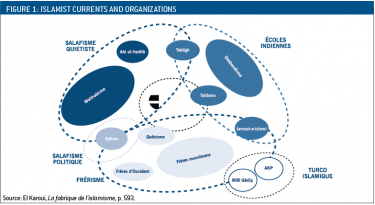 Many among the secular have few contacts with organized Islam; they share French values such as a ban on polygamy and see French law as having priority over any interpretation of shariʻa. Those in the ambiguous category accept certain Islamic injunctions, for example requirements for daily prayers and fasting during Ramadan. They accept the primacy of French law over shariʻa but object to the 2004 law that bans symboles religieux ostentatoires (“conspicuous religious symbols” such as the hijab and niqab) in public schools. Those in the third category typically support application of shariʻa and acceptance of the niqab as a justifiable symbol of piety, and firmly reject the secular ideal of religion restricted to the private sphere. On matters of international policy, those in this third category are highly critical of European support for Israel and of any Western intervention in the ummah. A disturbing survey conclusion is the distribution of attitudes along El Karoui’s continuum by age. The secular share is much lower and the share sympathetic to Islamism much higher among those under age 25 relative to those over age 40. To give a concrete illustration of the conflict within the Islamic ummah between secular Muslims and Islamist sympathizers, let me introduce an example from Bangladesh, which is the third most populous Muslim-majority country (after Indonesia and Pakistan). While causes of the 1971 civil war pitting East versus West Pakistan and the subsequent birth of Bangladesh are many, one aspect is that the Bengali Muslim elites were largely secular (in El Karoui’s terms) whereas those in West Pakistan were not. For many years, I worked with the founder and vice-chancellor (until his death two years ago) of the International University of Business Agriculture and Technology (IUBAT), a secular institution located in northern Dhaka on an attractive campus adjacent to the Turag River. Its 8,000 students, both men and women, study in faculties ranging from business to engineering, agriculture, nursing and computer science. On the other side of the river is an open field, a very large field by Bangladeshi standards, owned by Tabligh. El Karoui identifies Tabligh as an international, basically “quietist” organization operating in the Middle East and South Asia. It also has a presence in western Europe. As in other countries, Tabligh in Bangladesh organizes annual ijtema, massive pilgrimages drawing the faithful to this field from across Bangladesh and adjacent Indian states for several days of collective prayer. The numbers have grown from 20,000 in the 1950s to a million or more in recent years. When we designed the IUBAT campus, we preserved an attractive copse of mature bamboo adjacent to the one-storey student laboratory buildings. In the first year of IUBAT’s move to this campus, early in the last decade, Tabligh organizers channelled the ijtema supporters from the nearby highway, which happens to be on the IUBAT side of the Turag, through the IUBAT campus en route to their field across the river. They chopped down the bamboo and levelled the laboratory buildings that retarded their passage. That was the first of ongoing conflicts. The university dress code allows a woman to wear what she wishes provided her face is visible. Learning of this dress code, Tabligh organized for a month a gauntlet of supporters at the campus entrance. Female students not wearing a head covering were denounced as miscreants. At one point, members of the gauntlet got past the guards at the campus gate and entered the campus. They attacked students and vandalized classrooms. In addition to these skirmishes, Tabligh mounted a drawn-out legal campaign to dislodge IUBAT from its campus and secure the campus as headquarters for Tabligh’s Bangladesh activities. With access to senior lawyers, its campaign moved slowly through the courts and finally reached the Supreme Court. Two years ago, after protracted and complex political lobbying by supporters of the university, IUBAT more or less won the legal battle and preserved the campus as a secular university. However, future conflict remains likely. IUBAT versus Tabligh is one of many, many ongoing conflicts in Muslim-majority countries over the last generation, conflicts that pit modernizers at the secular end of the continuum against Islamists at the other. 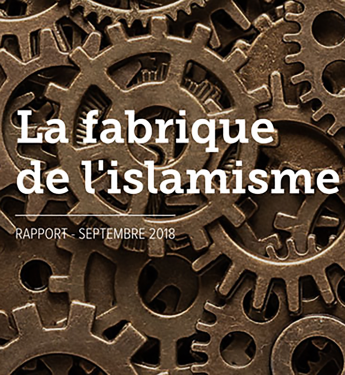 Both Kepel and El Karoui see their role as that of realists obliging Français de souche and moderate Muslims to acknowledge the malevolent effect of Islamism among many young French Muslims, and the need to counter it. How? Kepel offers little in terms of advice; El Karoui is more detailed in his prescriptions. His central recommendation is creation of an Association musulmane pour l’Islam de France with a mandate to build autonomous French Islamic institutions and thereby minimize the influence of Islamic organizations in Arab countries. It would train imams in France, counter Islamic anti-Semitism and so on. Whether such an organization can succeed is moot. Predictably, Muslim leaders have opposed the idea, arguing that such an association would be directed by “experts outside the Muslim religion” who would lack credibility. There are no easy answers. SALAFISM: Salafism – the word literally means ancestors – includes Sunni theological currents whose supporters advocate a return to the ideas of Muhammad and the original “pious ancestors” who led the first three generations of the caliphate. All subsequent modifications to Islam, including modernizing currents seeking a synthesis of Islam and Western liberalism, should be opposed. FRÉRISME: El Karoui includes here several Islamist currents, the most important of which is the Muslim Brotherhood in Egypt. 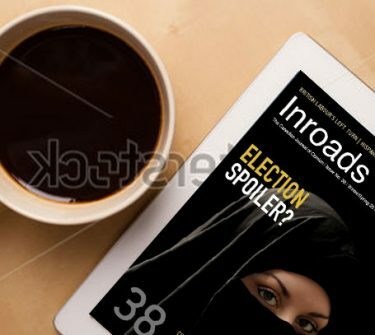 Islamist organizations in this tradition engage in electoral politics and are more tactical in their activities than Wahhabi imams in Saudi Arabia. The short-term beneficiary of the Arab spring in Egypt was the Muslim Brotherhood, which won an election and briefly enjoyed office until the military reasserted control. Those in the frériste tradition do not shun interaction with non-Muslims. QUTBISM: Qutbism is a militant tendency within the frériste tradition. Sayyid Qutb (1906–66) was born in a rural Egyptian village to a poor family. However, he received a decent education and became a specialist in education studies. Originally a liberal, he joined the Muslim Brotherhood in the early 1950s. He briefly supported the military coup that toppled the monarchy and ushered Gamal Abdel Nasser into power. However, he broke with Nasser and was imprisoned. In 1966, the Egyptian government executed him. Among supporters of the Muslim Brotherhood and Al Qaeda, he is a martyr to the Islamist cause. Ayman Al Zawahari, successor to Osama Bin Laden as head of Al Qaeda, studied under Qutb. SAHWA: Sahwa is a political movement in Saudi Arabia, born in the early 1990s in opposition to the presence of American troops engaged in the campaign to expel Saddam Hussein’s troops from Kuwait. Its conservative theology places it among Salafist organizations, but unlike the Wahhabi, Sahwa members have overtly challenged the Saud family, and have been persecuted in Saudi Arabia. JIHADIST SALAFISM: Using Kepel’s categorization, we can refer to three waves of Islamist jihadism: first, Al Qaeda; second, regional organizations (such as Al Qaeda in the Islamic Maghreb); third, jihadist attacks by individuals, usually inspired by Islamic social media and often with internet advice and support from Daesh. DEOBANDISM: Named after the north Indian town of Deoband, this is a “quietist” tradition that emphasizes education of the faithful. It is close to the Hanafi school’s interpretation of Sunni Islam. It is a large tent, with affiliations ranging from the Taliban to Tabligh to Jamaat-e-Islami. It occupies a privileged position among Pakistani immigrants to the U.K.
JAMAAT-E-ISLAMI: Founded in 1941 by Abul Ala Mawdudi, Jamaat is a South Asian equivalent of the Muslim Brotherhood. Originally, Mawdudi opposed creation of Pakistan as a separate state because of misgivings about the close links between the largely secular Muslim League and liberal British colonial traditions. Like the Brotherhood, Jamaat favours active participation in electoral politics as an instrument in persuading the population to support an Islamic state applying shariʻa. Incidentally, the Pakistani woman who in 2015 successfully litigated her right to wear a niqab during her Canadian citizenship ceremony is a Jamaat supporter. TURKISH ISLAMISM: The Justice and Development Party (AKP), formed as a hybrid political party embracing Turkish nationalism, sympathetic to state support for Islam and favourable to economic development based on market capitalism, has governed Turkey since 2002. Initially, it enjoyed widespread popularity among secular Turks and west Europeans as an opponent of the military’s abuses under secular Turkish governments in the tradition of Atatürk. This decade, the AKP has become increasingly authoritarian, championing Turkish nationalism over accommodation of the Kurds and curtailing secular Muslim institutions within Turkey. 1 See my review, “A Country Squeezed between Heaven and Earth,” Inroads, Summer/Fall 2015, pp. 119–21. 2 The post-2014 Raqqa-Mosul caliphate has several names and acronyms. Most French references, and many English-language ones, use Daech (or Daesh), the Romanized version of the Arabic acronym for the caliphate. 3 El Karoui, La fabrique de l’islamisme, p. 11 (translation by reviewer). a Kamel Daoud, “Saudi Arabia, an ISIS that has Made it,” New York Times, November 20, 2015. See also Daoud’s article “The Jonah Syndrome: What Remains for ‘Arab’ Intellectuals after the Charlie Hebdo Events?” Inroads, Summer/Fall 2015, pp. 69–70.